I am writing to OBJECT to this application. An increase in traffic down Dukes Meadow Drive and Warwick Road is unacceptable. The demand for housing is not as great as the council propose, please review your housing numbers. This will have a detrimental effect on the landscape and wildlife in the area. Please develop on Brown sites as a matter of urgency over green field sites. Primary school education is already full to capacity and with no school provision this development will further contribute to this problem. I am writing to SUPPORT this application. The location of this development will support and enhance the Northern Boundary of Dukes Meadow Drive and is the preferred location over housing to the North of Hanwell Fields. Furthermore the proposed placement of this development will provide better traffic integration on the Warwick Road and potentially lessen the impact of traffic at the Southam Road/Hennef Way island. These plans are well thought out and detailed unlike any plans for North of Hanwell Fields. The provision of facilities for an ageing population should be encouraged. The proximity to the academy school is positive. This site should be included in the Local Plan. I would like to see a number of requirements included before a decision is made. A. Traffic calming between Warwick Road/Dukes Meadow Drive island and Dukes Meadow Drive/Usher Drive island. B. Road access from the proposed development on to the Hardwick island on Warwick Road. 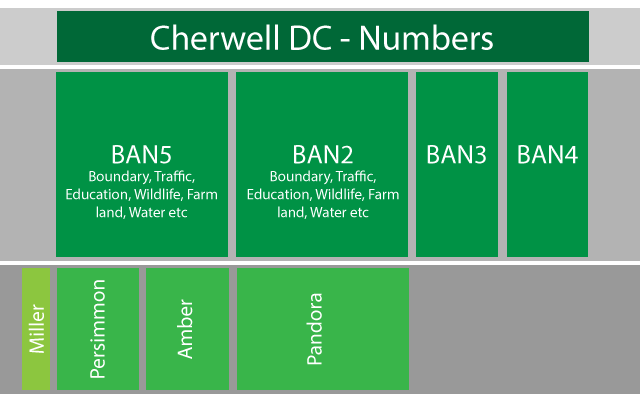 (I fail to see why a protected tree has more rights than I do over allowing access to this road island) By allowing access off this island better public transport provision could not only be provided to this development but extending the current Hardwick bus route could then include Hanwell Fields.